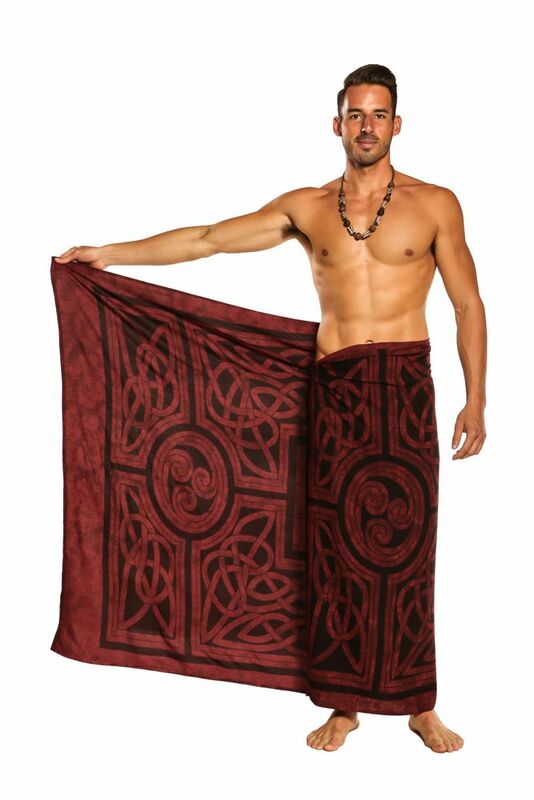 Very nice Celtic Circles sarong. This sarong is a contemporary Celtic design featuring interlace knot work that has been influenced by ancient Celtic designs that are hundreds of years old. 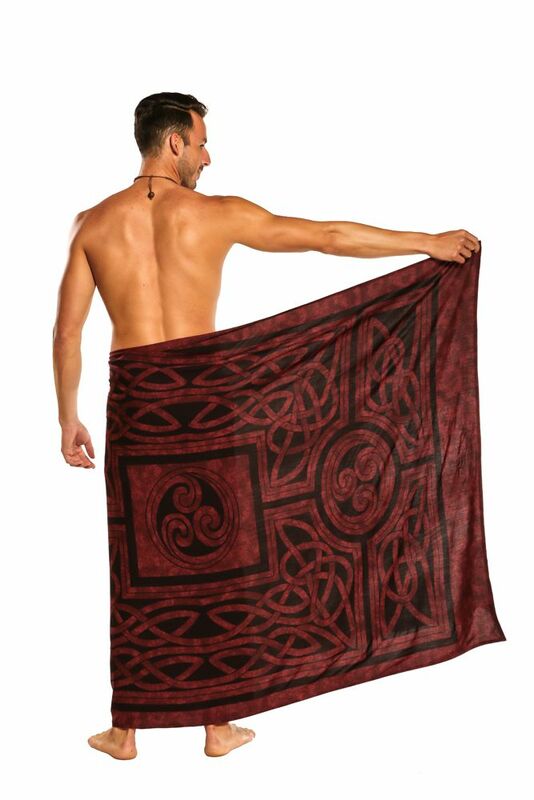 The Celtic Circles sarong also happens to be one of our nicest sarongs and is highly recommended because of the great quality. Sarong measures approximately 72 x 44 inches (174 cm x 112 cm) on fringeless heavyweight top quality rayon. Please note color, size, and design will vary due to the handmade nature of this item.